I have various clients who are in the “uphill” phase of their MBA applications; having done one or two for Round 1, now pushing for a few more by early January. The gloss of self-discovery and self-expression is gone. It’s now just about getting it all done and done well, in what seems like an endless, thankless grind. I’m sure there are many others out there in the same position. So, as a pick-me-up, I’m sharing an old post: a heartwarming report from a 2009 MBA Studio client, who detailed his extended MBA admissions journey, see original report. “The above quote by the great Mittal is really my matra and this is what i believed in when i started on this journey. There were a great deal of challenges and difficulties that i faced but what kept me going was the ultimate goal! MBA is what i wanted to do, this would take me to my destination and i wanted to give in my 100 percent to get there! “I started this blog back in February, 2009 and at that time I had no idea what was ahead of me. I still remember my first post on 9th February 2009. That was the day when I first laid my hands on the “Official Guide for GMAT Review”. That was the day I promised myself that I’ll put in my sole(sic) into the GMAT preparation and give-in my best shot towards my business school application. Feb 18, 2009 – Took my first Diagnostic test from the official guide. Did pretty well! Mar 2, 2009 – Took my first GMAT CAT (GMATPrep 1 downloaded from mba.com) – didn’t go well. Apr 1, 2009 – Found out about GMAT Focus – that was a true gem! Apr 20, 2009 – My first 700 score in a practice test! 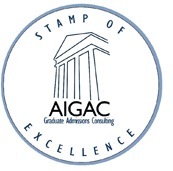 Apr 22, 2009 – Influenced by all the GMAT gurus in the Beatthegmat community, I started an Error Log to record all my errors and started going throu’ them once every 2 days along with the flash cards. May 1, 2009 – A very anxious day indeed with GMAT in 24hrs! May 2, 2009 – GMAT Day (Attempt 1) – scored a 640 (Q44 V34). Was disappointed with the score and decided to re-take. May 7, 2009 – Scheduled my GMAT (attempt 2) for 19th June. June 1 to June 8, 2009 – Took 4 practice CATs and averaged around 720! It was a real moral boost. June 19, 2009 – One of the worst days of my journey – GMAT attempt 2 – 620!! Herez some realization. June 24, 2009 – Back in the game for another attempt. This was the first time i met Charles – the best tutor in NYC. August 8, 2009 – Realized something – I’m a horrible standardized test taker. GMAT (Attempt 3) – 640, Again! (More Info) I decided to stop wasting any more time on GMAT started the b-school hunt with my 640! August 15, 2009 – Prepared an outline for essays. First stop – INSEAD! Quite a bold move eh! August 24, 2009 – INSEAD essays first draft – ready! Sep 1 to 24, 2009 – went over 4 more drafts of INSEAD essays. Sep 28, 2009 – After 6 drafts of essays, finally submitted my INSEAD application. Oct 4, 2009 – ESADE Application submitted – after 3 drafts of essays! Oct 6 to12, 2009 – IESE essays – done with my 3rd draft of essays. Oct 15, 2009 – ESADE invited me to interview – this was one of my happiest moments since it was my first interview invite!! Oct 23, 2009 – IESE Application submitted. Oct 26, 2009 – IESE Invites me to interview within 3 days – That was the fastest response i’ve got. Nov 1 to 20, 2009 – Interview preparation along with NUS Business school application essays. Nov 5, 2009 – INSEAD dings! I kinda expected that. Nov 13, 2009 – NUS Application submitted. Nov 22, 2009 – ESADE Admissions interview (face to face with adcom). I still remember that day. It went amazingly well and I was quite confident on making it. Nov 23, 2009 – IESE Interview – My longest interview but was a fantastic experience with a super friendly adcom! Nov 25, 2009 – IESE Waitlists me and invited me to an Assessment Day on Jan 31st! It was a 2 months wait! Nov 27, 2009 – ESADE dings me! I was totally shattered. I still have no idea why but now i understand that there is someone up there who controls your reins. Everything happens for the best!! Dec 4 to 10, 2009 – HKUST application essays – draft 1,2 and 3. Dec 12, 2009 – HKUST Application submitted. Dec 15 to 31, 2009 – The dreadful WAIT! Jan 29, 2010 – Two days before the big event – IESE Assessment day, I get dinged by HKUST! Jan 30, 2010 – IESE Case presentation – Sample class by Prof. Mike Rosenberg from IESE B-school. Jan 31, 2010 – IESE Assessment day – A fantastic experience interacting with 30 brilliant applicants from over 15 countries. A whole day of team activities. Feb 1 to 10, 2010 – Waited impatiently for the IESE results! Feb 11, 2010 – The day my dream came true – Got accepted to IESE Business school! “Like World cup is to soccer, Wimbledon is to Tennis, an acceptance is to an applicant blog. I waited 12 months for such a post and I can’t be happier. I couldn’t have done any of this without the love, support, and encouragement of my parents and my girl friend. I would like to dedicate this admission to them. Amma, Appa and Vrush – this one is for you! 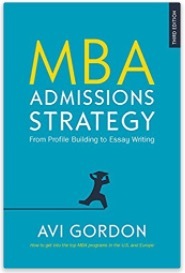 Avi Gordon – MBA Studio and his wonderful book. All my readers for their constant support and encouragement. Guy Kawasaki for sharing his knowledge and teaching me a lot.